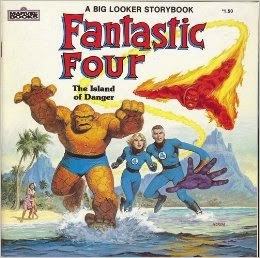 In 1984, Marvel Books published a Fantastic Four storybook called Island of Danger. 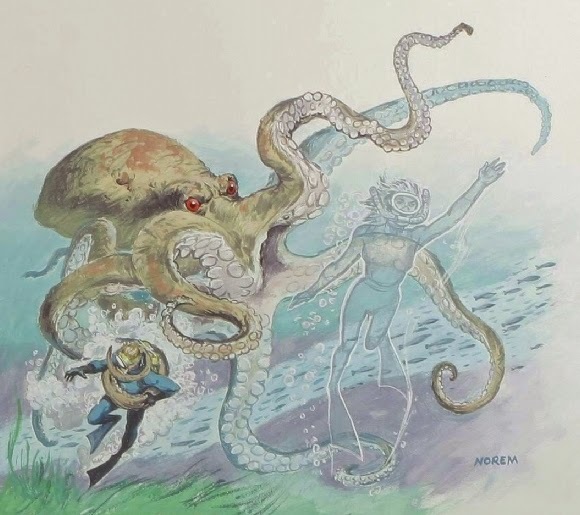 The finished, painted artwork is by Earl Norem but long-time Marvel employee Marie Severin is also credited. At the time she was working for Marvel's Special Projects division under whose remit Marvel Books fell so it seems probable that she was involved in helping design the book. 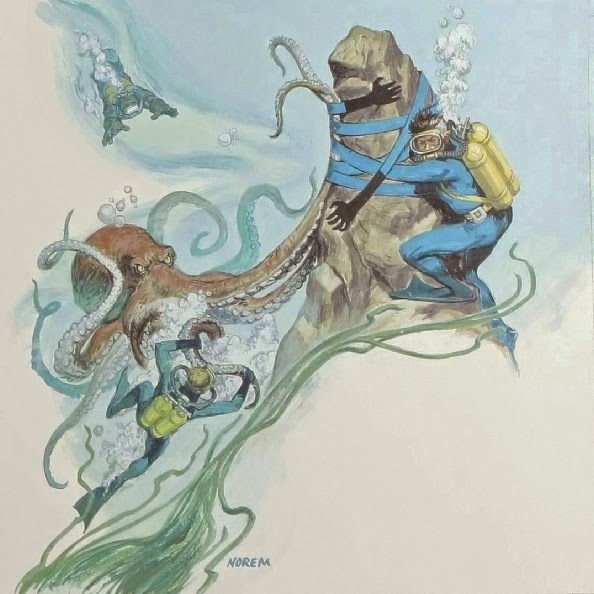 Here's a selection of images showing our heroes encountering a giant octopus. Art collector Vincente B has scans of some original artwork from the book as well as some pencil sketches which you can see here. You can read the whole book here. This edition came with a record but sadly the blogger doesn't have a copy to listen to. Earl Norem (born 1924) saw action in World War II. 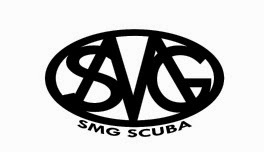 Injury ended his military service and he embarked on a career in illustration. Primarily known for his work on men's magazines, he also produced book covers, trading cards, baseball programmes and film posters. You can see a nice selection of his work at the American Art Archives. 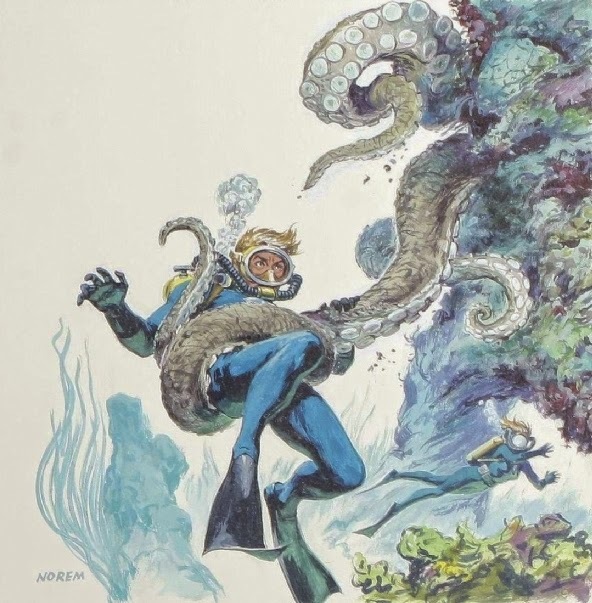 Marie Severin (born 1929) began her career as a colourist for EC Comics where her brother John worked as an artist. In 1959 she joined Stan Lee's staff at Atlas Comics (although they'd dropped the Atlas logo from their covers by '59 and would adopt the Marvel name within a couple of years). 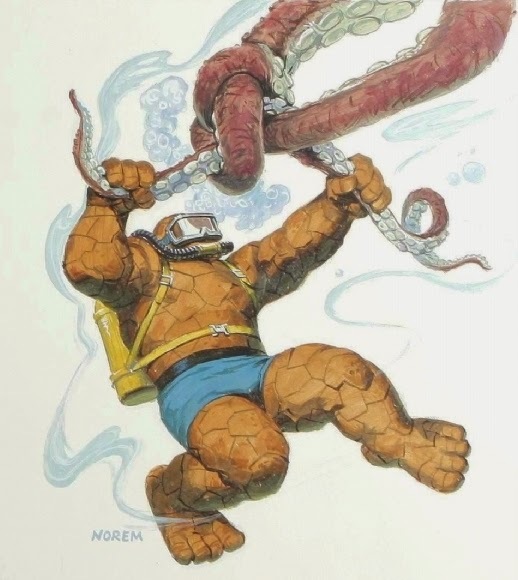 Working in the production department, primarily as a colourist, she began to get pencilling assignments on characters such as Doctor Strange, the Hulk and the Sub-Mariner. She also worked on Marvel's humour title Not Brand Echh. The oddest project of her career was undoubtedly drawing a Spider-Man and Hulk story that was printed on toilet paper!